Branding and marketing your business is vital to its success, so it can be shocking if you find out someone is using the same brand as you are to make their own way in the business world. After all, your original idea could make you a fortune — but not if it’s infringed upon. Find out how to know if you’re the victim of trademark infringement and what you can do about it to protect your brand. To determine whether someone is guilty of trademark infringement, the court uses a trademark infringement test, which weighs eight factors. Here’s what you need to know about what each of the factors concerns. The senior mark is the mark that was registered or used first. The degree of protection afforded by the court depends on how distinctive the mark happens to be. The court will determine where the mark falls along the spectrum of distinctiveness — from generic terms, such as table, to fanciful terms, which have no meaning in ordinary language other than the brand they were created to represent, such as Pepsi. Does the product using your mark have the potential to be considered related to your product? If the products directly compete with one another, then they are more related in the mind of consumers than products that are totally unrelated and do not compete with one another. This factor weighs more heavily than others when determining if trademark infringement has been committed. By looking at the appearance of the conflicting mark, as well as its pronunciation and verbal translation, the court will consider if the mark could confuse consumers when viewed alone. If marks appear to be similar, use similar language, are marketed within the same channels and so on, they may give the same commercial impression to consumers. The court will examine this evidence, plus any evidence of past documented confusion to determine how heavily this factor weighs in ruling on trademark infringement. Another way the court will look at the senior mark and the allegedly infringing mark is to study how marks are encountered by consumers in the marketplace and the circumstances under which each product is purchased. For example, the methods of advertisement, the market sector the products are sold within, where the products are located within stores and the type of business that’s using each mark will be evaluated. The court will generally consider the standard of purchasing care exercised by a typical buyer when weighing this factor. However, if the products are unique to the market or considered expensive, a higher standard of purchasing care will likely be applied by buyers. 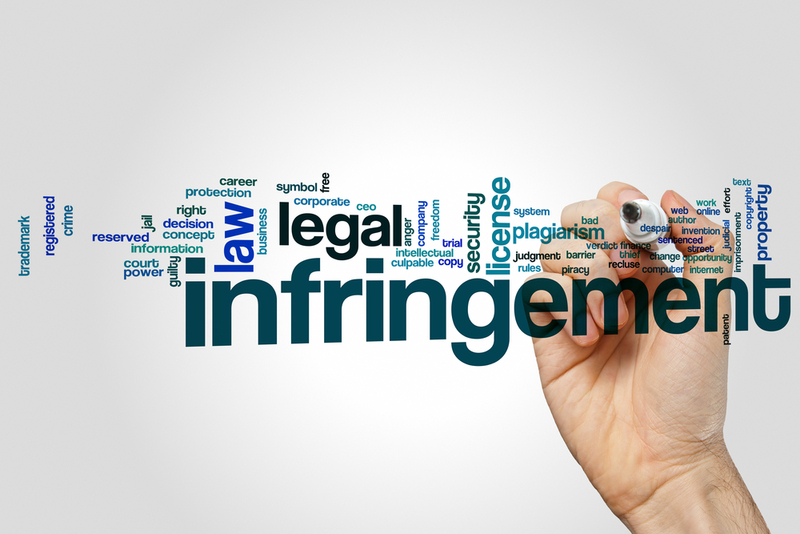 If the defendant chose the mark with the intention of causing confusion, the court might be able to justify that the alleged infringer believed that copying the mark would enable him more success. As long as it can be proved that the defendant used the mark while knowing about the senior mark, that is enough to prove intent. If there is a likelihood that either party will expand their geographic reach or experience a growth in product lines to compete with the other, it could weigh in favor of infringement. And if a plan is in the works to market both products to the same consumers, it could also weigh in favor of infringement.